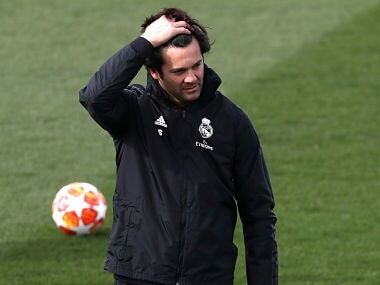 Madrid: Santiago Solari said he would not give up as coach of Real Madrid but the decision will probably not be his to make. "It would have been difficult for me to win again next year," Zidane said in May. "There have been good times but also difficult times. I do not forget that. I want to end with Real Madrid when everything is going well." Ten months on, Zidane's exit speech feels like a warning. 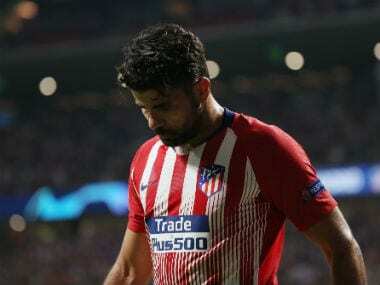 Madrid's season is up in smoke after seven days in which they were eliminated from the Copa del Rey, deemed irrelevant in La Liga and humiliated in the Champions League. "I did not come to the club in such a difficult time to give up," said Solari, after a 4-1 defeat to Ajax on Wednesday sent his side out in the last 16. In the league and cup, they were proven to be clearly worse than Barcelona, their greatest rivals, and in Europe, inferior to Ajax, the club that are supposed to supply the elite not outplay them in their own back yard. 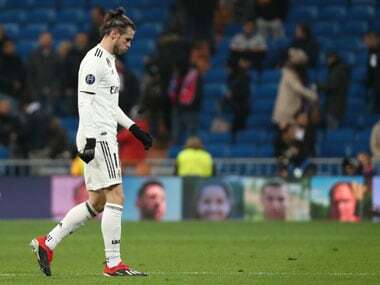 Three defeats, all of them in their own stadium, the last in the competition Madrid had begun to feel was their own after three consecutive triumphs and four in five years. "Here lies a team that made history," read the front page of Marca on Wednesday. "End of an era," said Diario Sport. "The disaster is huge," wrote Mundo Deportivo. Solari had overseen a period of progress since taking over from Julen Lopetegui in November but the decline has been quick and familiar. Early improvement gave way to a lack of goals, which slowly sapped belief. Mediocre opponents took advantage and better ones ran riot. The club's president Florentino Perez must now decide if Solari is worth keeping until the summer, although it is hard to see what would be gained by sacking him when there is nothing left to be gained from the season. A new coach, with the same squad, would only surrender the feeling of freshness while for Perez, there might also be merit in waiting until June when more candidates could become available. Yet he must be aware now of what Zidane was indicating, the sense that there are bigger problems to fix than the coach. A Marca poll on Tuesday night asked fans who they thought was to blame, with 79 per cent answering either 'everyone' or 'the board' and only 7 per cent picking 'Solari and Lopetegui'. After years of under-investment, Madrid's spine is creaking. Luka Modric is 33, Sergio Ramos 32, Toni Kroos 29 and Karim Benzema 31. Age is one thing but motivation is another. Success is hard to replicate. Cristiano Ronaldo sought a new challenge with Juventus but was not replaced, either by a single star or two or three impact players that could collectively help bridge the gap. Mariano Diaz, signed last minute from Lyon, was not even on the bench on Wednesday. Instead of marquee arrivals, the last of whom was James Rodriguez in 2014, Perez has shifted focus towards youth, with the likes of Vinicius Junior, Alvaro Odriozola, Sergio Reguilon, Dani Ceballos and Marcos Llorente all showing varying degrees of promise. Vinicius has been a revelation. The problem is not that those players have failed to deliver but that perhaps they need a blend of experience to help bring them through. A summer spending spree might be tempting but could also undo all the good work done with a talented group. If Solari cannot make a convincing enough case — and it is difficult to see how he can — in the 12 league games left, the choice of his successor will be revealing as to whether Perez's faith in youth remains intact. Madrid face a trip to Real Valladolid on Sunday and all that is left is to overtake Atletico Madrid, who are five points ahead and reduce a 12-point gap on Barcelona, who are closing in on a seventh league title in 10 seasons. For all Madrid's success in Europe, that domestic drought speaks volumes. "We have a young team with room for improvement," Dani Carvajal said. "It is clear the season is over but we will keep working in the league because that's what we have to do, we have to be professional. That's just how it is."